MV Tipu operates to the Dhaka – Char Fashion – Dhaka route. 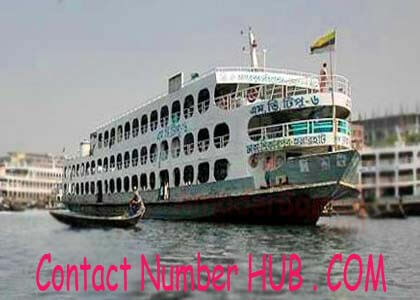 The passengers like to use this launch to travel from Dhaka to Char Fashion. It provides a secure and pleasurable journey for the passengers, maintaining the exact time and timetable. It contains 700 seats and 80 Lifebuoys. The passengers traveling to MV Tipu Launch are unknown of their service details and contact information. You must not be worried; this content will make sure to know all details, including counter numbers, ticket prices and other important information. MV Tipu is one of the 3 storey launches operates in the Dhaka to Char Fashion route. Here is the contact number and other details, including its route, schedule, ticket prices & other details of the MV Tipu. It bears the outstanding service in the marine vessels. As a result, they get huge popularity in this area with their services. People who like to visit these areas and the nearest ones can take their services. MV Tipu starts its journey at 6:45PM from Sadarghat Launch Terminal, Dhaka and arrives in Char Fashion at 6:00 AM of the next day. Similarly, starts from Char Fashion at 4:00 PM and arrives in Dhaka Sadarghat at 6:00AM on the next day. In this concern, passengers can get details about their time, schedule and other information with their contact numbers. For any further information you can contact at their Hotline Number: +88-01712-561234. 📢 There is a prayer room, some toilets, restaurant and a stand-by doctor for any emergency. 📢 It takes help from other launches when get caught in the mid-river. Sometimes, passengers should come to overcome the issues. 📢 The launch operates up to cautionary signal number 2. If the signal 3 is shown, the operation gets stopped. 📢 Illegal goods must not carry by the passengers. The authority is not liable for any illegal materials. MV Tipu has 100 life buoys, 10 fire buckets, 5 fire extinguishers, 2 sand buckets and 1 manual pump for its safety and security. These are all about MV Tipu detail information. You can stay connected with us for the further update about this service. Moreover, for your any of the inquiries, please contact us or comment in the following comment box, we shall try to resolve your inquiries as soon as possible. And finally, thanks to stay with us to read the piece of writing with persistence. Hope, your journey is safe and secured with MV Tipu.